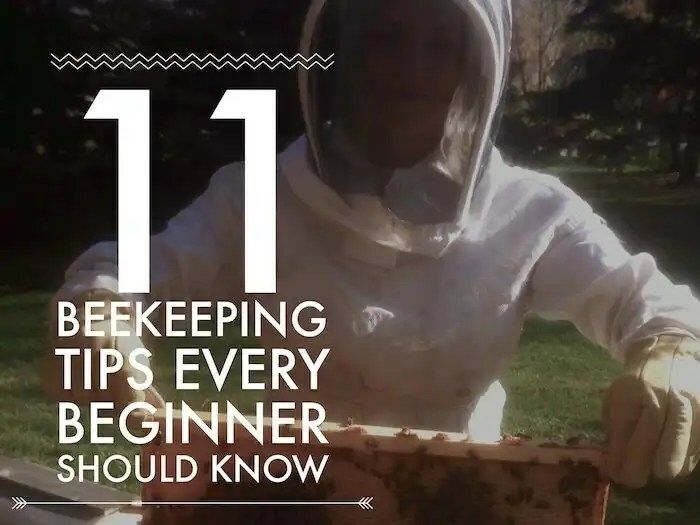 Updates, tips, tricks, and how-to's of apicentric beekeeping. What is the beecentric hive and how best is it used and managed? Beecentric hive is a Warre hive, 8 frame Langstroth hive hybrid handmade and sold in Edmonton, Alberta, Canada. The apicentric hive is designed to work with the natural behaviours of the honeybee. The result is happier, heather bees, and less work for the beekeeper. Whether you’ve ordered a Beecentric Hive through the mail or your just curious about how it all goes together, we’re a brief overview of the Beecentric Hive components and how to assemble them. The Beecentric Hive has four general components: the Vented Roof, the Screened Quilt Box, Bottom Board, and Boxes. The Vented Roof is designed to shed the elements a allow moisture to escape the Quilt Box. The Quilt Box and Bottom Board are inverse versions of each other. The Quilt Box is deeper to accommodate insulation and sits on top of the hive with the screened side facing down. The Bottom Board sits on the bottom of the hive with the screen facing up. A coroplast insert can be slid under the Bottom Board to close it off to the elements or to do a mite count. The Quit and Bottom Board have built-in entrances and thus come with small and large entrance reducers. Reducers can be moved between the Quilt and Bottom Board or tilted ninety-degrees to close entrances off. To keep the bees warm in the Winter and cool in the Summer, add a loose fill of insulation into the cavity of the Quilt-Box. As odd as it sounds, I like wood shavings like those that you might find at a pet store. I double-check the shavings each Fall to ensure that they are dry and fluffy. This combination will insulate the hive while allowing excess moisture to escape. The Beecentric Hive is different from a conventional Langstroth in that it uses the same medium boxes for brood and honey. As a result, it does not need a queen excluder, and new boxes can be added to the top (supering) or bottom (nadiring) of the hive. If you have ordered a Deep Frame Adapter, you can convert one of your boxes into a deep box that will accept deep frames. Adapters are useful for accepting frames from nucleus hives or making a split from a conventional deep Langstroth box. When stacked on top of each other, the Beecentric Hive should resemble the following diagram. From the ground up; Bottom Board with large reducer, Boxes, Quilt Box with small reducer, Vented Roof. To keep shipping costs affordable, Beecentric Hives in shipped with unassembled boxes. Each box consists of four pieces – two long sides and two short faces. All four parts will have handes nearest the top of the box. When assembling, make sure that handles are on the outside. Identify two side pieces and two face pieces required to build one box. Pick up one of the long side pieces and identify the handle. Rotate the piece such that the handle appears to be near the top. Flip the piece horizontally such that the handle is facing your working surface. Dab or brush the surface of the finger-joints with wood glue. One at a time, insert the shorter two pieces into the freshly glued finger joints. The frame rests should be facing each other while the handles should be facing outwards. Gently tap the boards together with a rubber mallet. If you do not have a rubber mallet, use a block of wood and a hammer. Use a square to test that both boards are perpendicular to the working surface. Dab or brush the exposed surfaces of the finger joints. Use a mallet to insert the remaining piece ensuring that the handle is on the outside and nearest the top of the box. Rotate your box, using your mallet and square to close any gaps and test for square. Use a brad-nailer to add a nail to the outermost finger joints. Be careful not to nail into the frame rests. If you do not have a brad-nailer, use thin exterior finishing screws or nails. When using nails or screws, it is advisable to drill a 1/16″ pilot hole which will prevent the wood from splitting. To protect your hive from the elements and increase its longevity paint all of its exterior surfaces. Products such as exterior-grade primers and latex or oil paints work well but should be allowed to dry thoroughly before exposing to honeybees. Only paint the outside surfaces of the hive and leave any internal surfaces natural as the bees will cover it was a layer or propolis – a sticky resin collected from plants. For a more natural look like the hives pictured on this website, apply two or three treatments of linseed oil. Linseed oil is pressed from flax and is food safe. Though, admittedly, it is not as durable as paint and will need annual reapplications. For a more durable natural finish, buy or make a linseed oil and beeswax finish. I’ve have been tempted to try tung oil but have not done so yet. The geometry of a beehive is such that bees – especially an overwintering cluster – can easily move parallel to the frames (up/down, front/back) but have a difficult time moving perpendicular (side to side) between them. Imagine a bee walking along the face of a frame of drawn out comb. The bee can effortlessly walk front and back or up and down along the two-dimensional surface accessing resources; but if the bee wants to move from one side of the frame to another, it has to first walk to the edge of the frame, around the perimeter, and cross over to the to the other side. This geometry is especially relevant for overwintering bees. As the temperature decreases in the fall, the bees cluster together at the base of the hive to conserve heat. The cluster is a loose sphere of bees – roughly six to eight frames wide – with a tighter outer mantle that moves as a unit to conserve heat. The critical thing to realize is that the frames run through the cluster so, like individual bees, the cluster can move parallel (front/back, up/down) but not perpendicular (side to side). A perpendicular moving cluster has to disassemble, walk around the outside of the frames, and regroup – losing heat in the process. 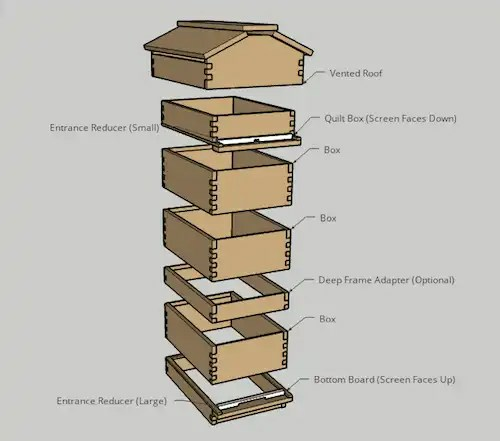 Simply put, a narrower hive reduces the need for the cluster to move laterally. In his book, Honeybee Democracy, bee researcher Thomas D. Seeley describes natural hives as being tall and narrow. Narrower makes sense considering that side to side movement is difficult for winter clusters but the second benefit is that honey that would have been stored beside the cluster is now stacked above it. During cold winter months, breaking the cluster isn’t an option so the result is that the bees can’t easily access honey stored beside them. This reluctance to move laterally explains why many beekeepers report starvation despite there being a frame or two of honey (always the outermost frames) mear inches from the starved cluster. By placing more honey above the bees, the resources in an eight frame hive are more accessible. So why eight frames? Simply put, the overwintering cluster of bees is roughly eight frames in diameter. By sizing the hive to the wintering cluster, we’ve mostly eliminated the need for them to move perpendicular. In an eight frame hive, the cluster can concentrate on keeping warm and move up as a group to access honey stored above them which is more accessible than honey stored beside them.